Does Lightening Ever Strike Twice? People Who Have Won the Lottery Jackpot Multiple Times! The saying goes that lightning will never strike twice in the same place but as always, there are exceptions to the rule. In fact, a small area in northwestern Venezuela gets struck by lightning 1.2 million times per year! 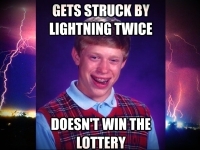 You may be wondering what lightning has to do with the lottery and you’d be right for doing so. The analogy is simply used to explain that seemingly impossible events can often occur. For many, it’s seemingly impossible to win the lottery. For others, it’s impossible to win the lottery more than once. Finally, there are the rules, defying individuals who have managed to win multiple times within a relatively short period of time. Here are some of their amazing stories. A man in New Jersey managed to win the jackpot not once, but twice in the short span of a single year. The lucky series of events took place in November 2015. James Callahan played Cash Five in the state and on November 15, he eventually got lucky. He ended up claiming the top prize of over 600,000 dollars. Little did he know that fortune wasn’t done with this New Jersey lottery enthusiast yet. One year later, James played Cash Five once again. This time, his prize was a little bit lower, but it still amounted to more than 75,000 dollars. Cash Five is a game that features odds of winning the jackpot in the 1 to 962,598 range. While not as impossible as the odds for some of the bigger lotteries, these numbers are still difficult to beat. James was asked about his secret and he said that playing every single day was the strategy that led him to success. Also, James bought all of his tickets from the same vendor. It’s questionable whether this ritual contributes to additional luck, but hey – it certainly doesn’t hurt to try. If you think that winning the lottery twice or more times over the course of one year is tough, you should definitely consider this next level story. It’s the story of a man who hit the South Carolina jackpot not once, but twice in the same day. In a single day, the luckiest men in the state cashed out two tickets – one worth 100,000 dollars and the second one – 200,000 dollars. According to a lottery representative, the lucky winner had been playing Palmetto Cash 5 for more than 10 years prior to winning. Once again – perseverance pays off. On the lucky day, the South Carolina man bought a ticket with the same numbers that he usually played. The only difference was that he opted for a multiplier. Because of this multiplier, the player got a 100,000 award and a second one worth twice this amount. The winner announced that he was paying off his house with the money in order to start leading a debt-free existence. So far, we’ve been talking about people who have won the lottery two times in a short period of time. Two overachievers from Virginia decided to break all records and go for three wins over the span of a single month. Zatera and Calvin Spencer from Portsmouth started their lucky streak with a one-million dollar jackpot from a scratch lottery card. They followed up by collecting 50,000 dollars from Pick 4 – a local Virginia lottery and an additional million from Powerball later in the same month. 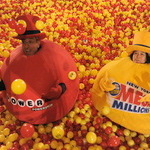 In the Powerball drawing, the couple was missing solely the Powerball number in order to cash out the entire jackpot. At the time, the top prize had reached 60 million dollars. The couple opted for a lump sum payment rather than annuity payouts over the period of 30 years. While this choice reduced the sum by a certain percentage, it’s still quite impressive. When asked about their incredible luck, the couple announced that they were just getting started. We haven’t heard from them since the three wins in 2014 but who knows – 2017 may just be another lucky year for Calvin and Zatera. Similar to the lucky winner from South Carolina, somebody else also went ahead to win multiple major prizes from the same drawing. The winner remained anonymous after cashing out six million dollars in Powerball prizes. In 2012, a person from Glendale purchased six Powerball tickets. All of the tickets had the same main numbers and a different Powerball numbers. While this may seem almost impossible, the six tickets matched the Powerball main numbers from the respective drawing. The anonymous winner didn’t get the Powerball number right, but each of the tickets still led to a prize of one million dollars. Thus, the Glendale native ended up winning six million dollars from the same drawing and using six different tickets. Interestingly enough, the winner didn’t collect the six million dollars at once. Rather, he made three individual trips to the Arizona Lottery main office. We’re not certain why, but maybe that person was attempting to relive the moment and have three celebrations dedicated to the incredible event. This story is as weird as they get. 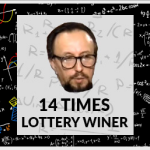 Not only did this man win the lottery twice, he did it in the most bizarre way possible. Bill Morgan was an Australian truck driver. One day, Bill was taken to the hospital after suffering from a heart attack. While initially declared dead, Bill was eventually revived after 14 minutes of resuscitation. Coming back to life probably gave Bill an idea to test his luck even further. He bought a scratch card ticket and won a car. It was 1999 and the automobile was worth 17,000 US dollars at the time. Things didn’t stop there. Bill was invited to demonstrate how he won the prize on TV. While scratching off another ticket for the show, Bill found out it was also a winning one. That ticket was worth 170,000 US dollars. In essence, Bill won a second time while the cameras were rolling to record the event. After winning the two prizes back to back, Bill announced that he was giving up on lottery scratch cards. He was to save any remaining luck for health and family happiness purposes. All of these stories are here to prove that miracles do happen. Even if you don’t believe hugely in your luck, you should give it a try. Who knows, you may just be the next lottery phenomenon out there. Good luck and let us know if you have any such incredible stories! Oops… We Got You! 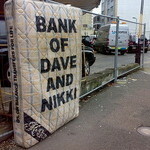 Don’t Be a Dummy and Hide Your Money There!